Arri 6000 Watt HMI Fresnel and Electronic Ballast. 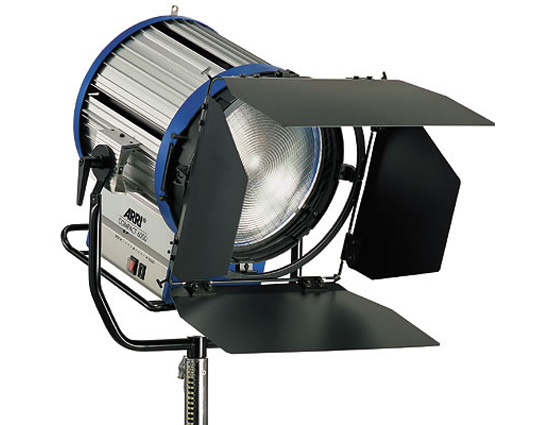 Fresnel spotlights with daylight characteristics with compact size, high efficiency and lightweight is required, the ARRI COMPACT Daylight Fresnels are the preferred choice. ARRIS's elegant modular construction, using corrosion free aluminium extrusions and light weight die castings, offers great structural strength and weather resistance. Together with ARRI flicker free, Electronic Ballast with A.L.F., the rugged COMPACT range is the ideal choice for all locations. This kit includes a 50' head-to-ballast cable, color frame for gels, and a 4 leaf barndoor set (not shown). 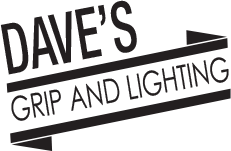 It does not include a 6000 Watt HMI bulb. Automatic Line Filter assures flicker free, consistent color light, no matter what dimming range is chosen, or what fluctuations exist in the AC Mains. Reduced size of the compact HMI 1200W makes it an easily transportable HMI light. A 16.7" (425mm) short focal length lens provides a smooth, even field of light.